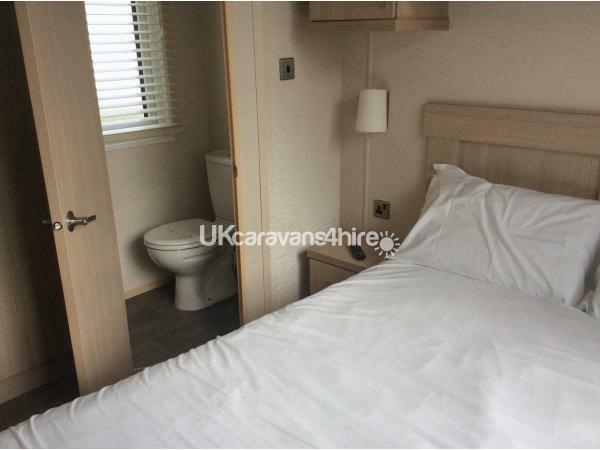 Additional Info: This caravan is a 2 bedroom, but we have additional electric blow up bed,It will it take up to maximum occupancy of 7 with sleeping arrangements of sofa bed or electric beds in lounge area. 46” TV in lounge,x-box and tv on wall in Master ensuite bedroom ,kingsized bed. 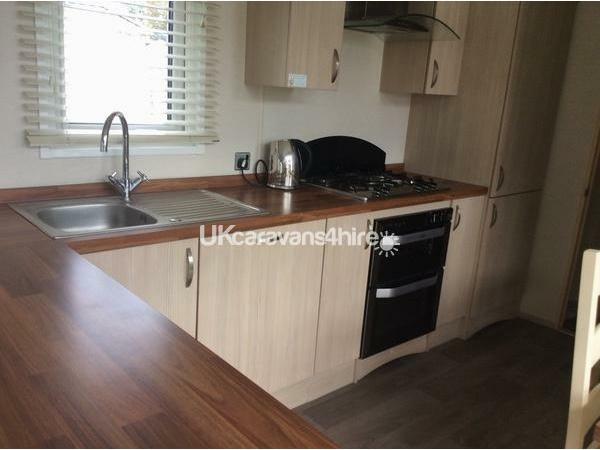 Triple glazing, which enables the caravan to remain extra warm wooden blinds throughout, dish washer, extra large single bedroom and shower room. Many additional items to kitchen and lounge areas including lamp, ironing board iron, and hoover. Furniture recently recovered. Swing chair to outside patio areas. Please note if you are taking your dog they must be clean and clear of any infection, infestation, are friendly to humans and dogs and must be kept on a lead at all times and can only be walked in the allocated areas which means only around where you are staying and walking out of the complex only Havens Policy. Key details will be notified upon receipt of final payment Please advise owners of your address leader contact number and other’s sharing van with u so that your holiday form can be forwarded onto you, also advise of your Bank details so that your Bond money can be refunded after the inspection of the van that it is left how you found it within a couple of days. 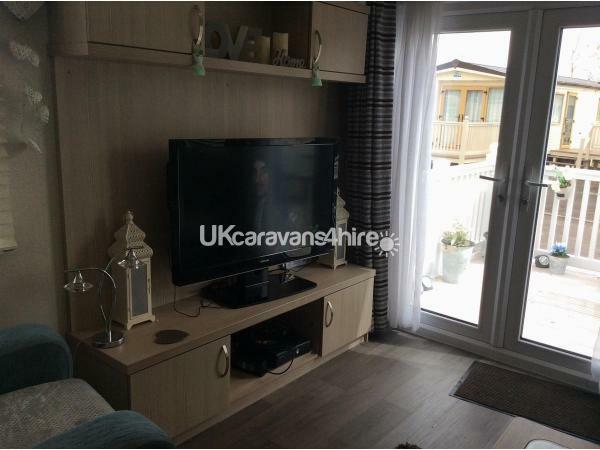 L shaped lounge fixed seating sofa with additional armchair sofa double bed, included new cushions, throws and rug for your comfort, gives ample space for a family of 6/7 maximumwith matching surround TV/X box player and freeview 46”TV. French doors leading onto veranda with new patio table and chairs and Solar flame lighting. 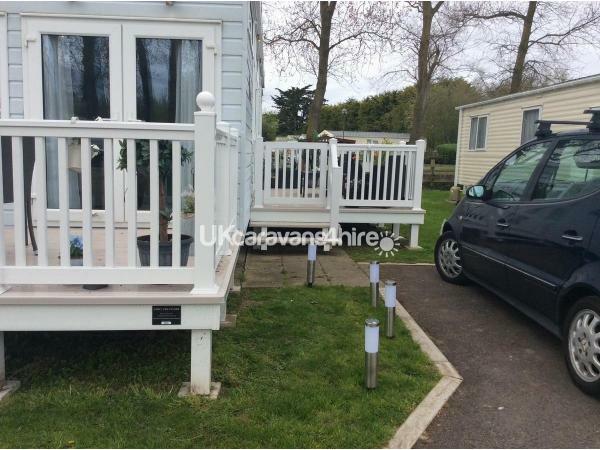 New White decking only added last year with gated side area with lounge furniture for further seating and comfort. Own parking space to side of van. Laminate flooring to Lounge, dining, kitchen and bathroom areas. Kitchen Area Fully fitted modern kitchen with large work surface, gas range, oven, grill, hob and extractor fan,integrated fridge/freezer, dishwasher and new microwave with wine racks,toaster, kettle crockery, glasses, cutlery, pots, frying pans iron and many more additional kitchen items. Dining Area large kitchen table will seat 6 with additional stalls from lounge area. for your toiletries above and WC Storage cupboard above includes cleaning equipment also houses boiler for water. Master bedroom with ensuite WC and basin. Master bedroom includes comfortable kingsized bed with double wardrobe and dressing area and chair, side cabinets and cabinets above bed, mattress covers,duvet pillows and cushions. TV on wall to Master bedroom. 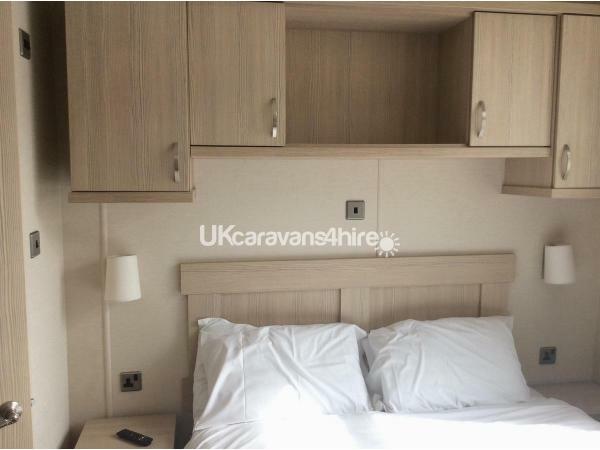 LargeTwin bedded bedroom with comfortable beds and has two single wardrobes with side cabinets and shelving all beds with duvets, pillows and mattress covers. There is an additional blow up electric premium bed with pillow kept underneath twin bed for additional sleeping. We include during your stay complimentary drinks, toilet rolls, kitchen towels, and all cleaning items left underneath sink area. We allow dogs in our holiday home 2 small or 1medium size ONLY at an additional cost of £15 per dog two dogs maximum. Dogs must be clean, infection and infestation free well behaved to humans and other dogs around - must be kept on leads at all times and only walked in the allocated areas ie around Hawthorn Close and out of complex ONLY this is Haven’s Policy. 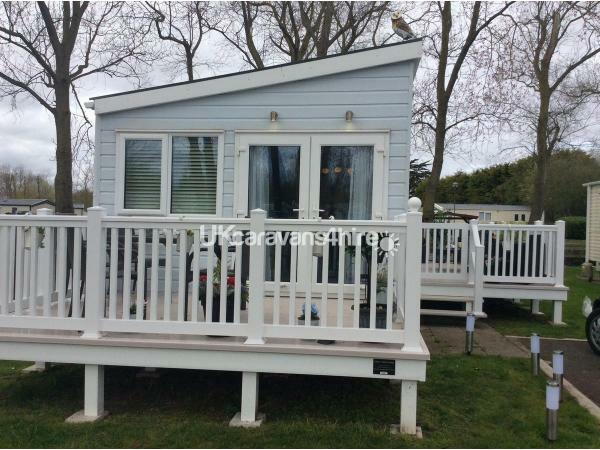 You will not be disappointed with this van and will have a fab time on this Haven complex enjoy your holiday. Brean beach allows dogs at all times approximately 20 minute drive away and the Apex Park approx 5 mins drive away with all facilities for young and not so young and your dogs. 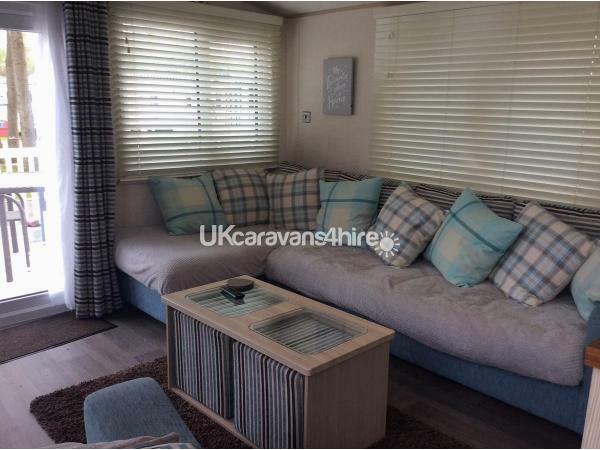 Stunning Caravan, picture don't do it justice. We would definitely stay here again. We found Wendy most obliging in accommodating us to enable us to have a break with our daughter, husband and granddaughter who were staying in Wendy's other caravan onsite. We would definitely stay here again in the future. 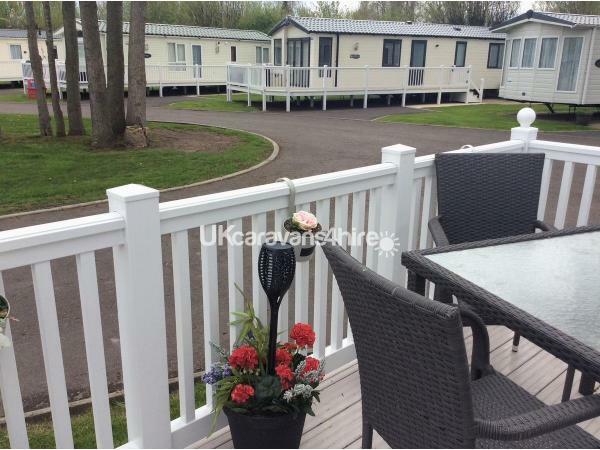 First class site, location and accommodation . 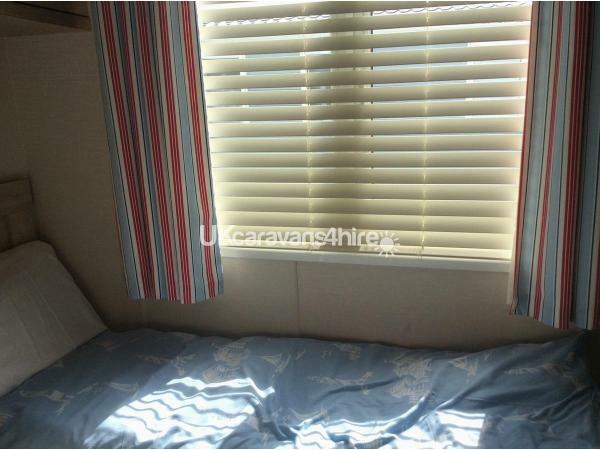 Excellent caravan, if not new, like new. Better than we expected, very pleased, photographs do not do it justice. The owner Wendy was a pleasure to deal with. Certainly be back. We have just arrived back home from spending a week in Wendy and Bill's beautiful caravan which was clean,bright and comfortable and has everything you would want for your stay, so When Wendy says "you just need to bring your own bed linen,towels and tea towels", that IS all you have to bring.Over the years of renting caravans we found you end up getting items you need for cooking etc but it is all there, trust me! 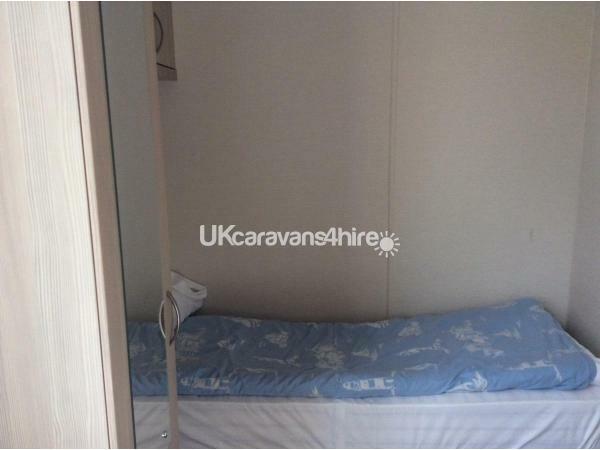 The place is so comfortable and cosy and having the two outside balconies is an added bonus as is having the "King size bed"and ensuite toilet and a bathroom with a great "large shower". The "Haven" amenities are great, although dogs are restricted as to where they can walk due to the nature lakes but Apex Park is just down the road and it great for walks with or without a dog. 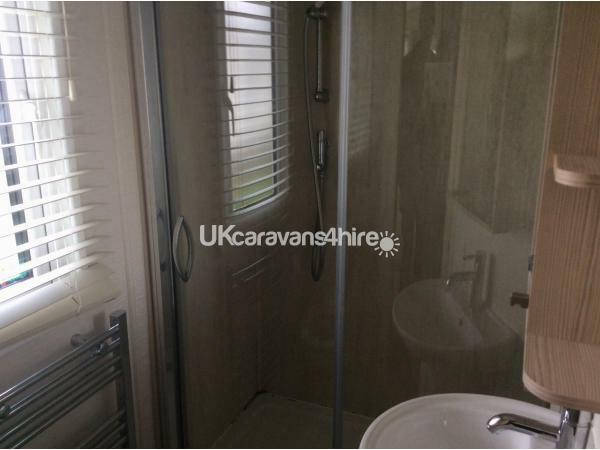 I would recommend this caravan 100% for its location, comfort,cleanliness and relaxing atmosphere. Don't miss out, book today!! We highly recommend it. Thank you Wendy, Bill and Diesel for making us so welcome.